Currently, Indigenous peoples are utilizing tools such as video conferencing technology, digitization of documents, and radio broadcast over the Internet. The majority of these technologies are used to preserve and promote Indigenous culture, tradition, history, and human rights advocacy. Further, “[t]he Internet is used by [I]ndigenous groups for e-mailing, chat rooms, radio stations, video-conferencing, and simple information-gathering by looking at Web sites.” Today, there are multiple organizations dedicated to the utilization of technology in Indigenous communities, such as educational programs promoting and addressing the technology needs of Indigenous peoples. In December of 2003, more than 11,000 people from over 175 Native Nations assembled in Geneva, Switzerland to discuss “bridging the divide” between developed and developing nations. The United Nations and the International Telecommunication Union assembled the World Summit on the Information Society (WSIS) with Indigenous people’s particular needs in mind – seeking to gain equitable access to technologies while retaining “rights, cultural identities, traditional territories, [and] resources.” Indigenous peoples themselves, it was articulated, are best at deciding how and when they access and use new technologies. In March of 2004, the Aboriginal Canada Portal and Connectivity Working Group hosted another conference in Canada, where Indigenous peoples from around the world discussed and shared work they were already doing to make themselves a part of the information society. This included "online applications for improving public health and governance, the role of new technology in Indigenous media and the arts, and the influence the digital revolution has on culture, gender, and the U.N. Millennium Development Goals." Phase II of the WSIS concluded by issuing six recommendations: 1) An Indigenous-led initiative; 2) analysis of existing sites and portals; 3) thematic focus of an international Indigenous portal; 4) information and communications (ICT) development and broader development issues; 5) cooperation between Indigenous portal initiatives; 6) international Indigenous portal architecture and content. 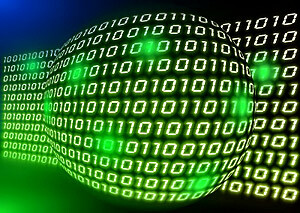 The current era has been termed the “age of information,” and this term generally carries a positive connotation. In Native societies, however, a dichotomy exists between those who embrace the Internet as a tool to protect, maintain, and promote cultural diversity, and those who believe that the Internet serves only to endorse capitalist ideals and sanction products of the modern industrial society. This dichotomy provokes the question, is the Internet friend or foe of Indigenous peoples? Similarly, Dr. John Afele argues that Native peoples “should aim to digitize the oral cultures of [I]ndigenous groups, who are the majority after all, and identify complementary knowledge from global resources.” Assuming that Indigenous peoples can actively assert dominance over the reflection of their own knowledge, in a primarily western-dominated medium, Dr. Afele asserts that “there is ample room for all cultures to be represented on the Internet.” Realizing the untapped potential that these areas present, technology-based corporations are increasingly expanding into Indigenous communities. Accordingly, “there are no longer technological barriers to deployment of information technology anywhere in the world today; it is political will and imagination of institutions that will determine how much a culture benefits from the Internet.” Dr. Afele argues that it is up to Indigenous peoples themselves to assert dominance in this area, and realize the exceptional ways in which this media can be tailored to local situations. Which view is correct? Assuming that the Internet does present a threat to the value of Indigenous peoples’ culture and tradition, is there a way to prevent the devaluation indicated by Kamira? Or, does the benefit conferred to Indigenous communities, as indicated by Gmelch, Daniels, and Alefe, outweigh the harm that the dispersion of sensitive information may cause? Are the values even commensurable? If they are, what values should be assigned where? Indigenous communities vary vastly around the world, culturally, physically, religiously, linguistically, and economically. Is there one resolution to this quandary? Can there be? Shouldn’t it be left up to Indigenous communities, themselves, to decide whether to become caught up in this “age of information”? What follows is a general review of internet electronic media tools contemporarily used. 1) American Indian Resources: http://www.sdhistory.org/arc/arc_ind.htm. A general list of resources from the South Dakota State Archives. 2) The Aniu Museum: http://www.ainu-museum.or.jp/english/english.html. This website features background about Japan’s indigenous Aniu population. Illustrated essays discuss traditional diet, maintenance of sustenance, agriculture, clothing, housing, religion, marriage, and family life. 3) Aniu of Japan: http://ankn.uaf.edu/IEW/ainu.html. A small collection of annotated links to resources about the Aniu culture. Part of a series on world indigenous cultures from the Alaska Native Knowledge Network, University of Alaska Fairbanks. 4) Aniu: A Spirit of Northern People: http://www.mnh.si.edu/artic/features/ainu. A website featuring images, text, and audio covering topics such as spiritual traditions, trade, homes, arts, language, and other aspects of Ainu culture. 5) At-LA North American Cultural/Ethnic Resources: http://www.at-la.com/@la-amer.htm. General links to American Indian Studies/Canadian First Nation/Native American resources. 6) Australian Indigenous Peoples: Aboriginal and Torres Straight islander Inhabitants of Australia: http://www.trinity.wa.edu.au/pldiffurc/indig/. An extensive collection of links to websites related to indigenous populations in Australia. 7) Digital Librarian: American Indian Studies: http://www.digital-librarian.com/american_indian_studies.html. Links to general resources. 9) Indianz.com: http://www.indianz.com. News, information, and entertainment from a Native American perspective. 10) Indigenous Australia: http://www.dreamtime.net.au. This site includes links to information regarding storytelling, cultures, and histories of Australian indigenous peoples. Features timelines, audio, and video about cultural heritage, spirituality, family, land, and social justice. 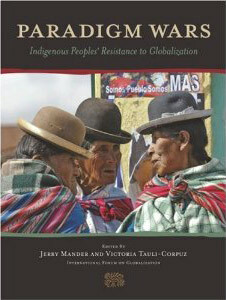 11) Indigenous Peoples: http://www.nzdl.sadl.uleth.ca/cgi-bin/library?a=p&p=about&c=ipc. A library of over 500 documents relating to indigenous peoples throughout the world, including Native American tribes, the Maori, Australian Aborigines, the Sami, and others. 13) Indigenous Peoples Ligature: http://www.indigenouspeople.net/ipl_final.html. An archive of cultural material by the indigenous peoples of the world, ranging from literature and music to prayers and history. Contains a listing of tribes, chiefs, and the complete texts of key documents, such as tribal constitutions. 15) Iowa State University – American Indian Resources on the Web: http://www.lib.iastate.edu/collections/eresourc/ai.html. Links to indexes and abstracts, general resources, and electronic journals. 16) Island of the Spirits: http://www.pbs.org/wgbh/nova/hokkaido. Website of the 1999 PBS Nova documentary on the Aniu indigenous peoples of Japan. Features cover the origins of the Ainu, Aniu legends and beliefs (about animals such as the crane, the bear, and the flying squirrel), and animal migration. 19) Native American Resources: http://www.cowboy.net/native. A list of internet resources available. Includes links to locally hosted URLs, Native American organizations, tribal homepages, Indian education and learning resources, government resources, and native art and culture. 20) Native Maps: http://www.kstrom.net/isk/maps/mapmenu.html. GIS maps that "window" Native information about Pre-contact Native North America. Active State maps for reservations in MN, WI, MI, CA, AK, ND, SD, NY, AZ (linked-to AZ is historical background of Navajo-Hopi Black Mountain land dispute and page of links on this dispute), NM, WA, OR; Canada treaty maps; Canadian Bands-by-provinces, contact info; Material culture maps; Pre-contact housing information. 21) Native Web: http://www.nativeweb.org. “Information from and about indigenous nations, peoples, and organizations around the world.” Includes an annotated directory of related websites, job listings, and a discussion forum. 22) Northwest Regional Educational Laboratory: Indian Education Resources: http://www.nwrac.org/links/indian.html. Links to general Northwest Native American resources. 23) Oklahoma Department of Libraries: American Indian Resources: http://www.odl.state.ok.us/usinfo/topiclists/us-native.htm. Links to websites from the U.S. Government, Oklahoma’s Congressional Delegation, Oklahoma’s Federal Information Libraries, historical publications, informational brochures, “today in history,” and special collections in the Oklahoma Depository Library. 24) Oregon State University, American Indian Initiatives: http://oregonstate.edu/dept/indian/indian_resources.html. Links to American Indian information, American Indian organizations, and news and events throughout Indian Country. 25) Traditional Knowledge Digital Library http://www.tkdl.res.in. Thousands of years’ worth of traditional Indian remedies, medicines, cures, and practices have been put on the public domain and, it is hoped, out of the reach of western biotech companies. 27) Linda Woodward-Geiger: http://www.woodward-geiger.com/cherokee_indians.htm. Cherokee Indian Resources. 28) The World Wide Web Virtual Library: Indigenous Studies: http://cwis.org/wwwvl/indig-vl.html. A virtual library site directing visitors to sites about native peoples of Africa, Asia, the Middle East, Central and South America, Europe, North America, Melanesia, Polynesia, and Micronesia. 29) University of Arizona, James E. Rogers College of Law: ArizonaNativeNet: http://www.arizonanativenet.com/. ArizonaNativeNet is a virtual university outreach and distance learning telecommunications center devoted to the higher educational needs of Native Nations in Arizona, the United States and the world through the utilization of the worldwide web and knowledge-based and technical resources and expertise. It is a vital resource for Native Nations seeking to strengthen their nation-building efforts through telecommunications-based higher education, leadership and management training, and distance learning programs. 31) University of Wisconsin American Indian Resources on the Web: http://www.uwec.edu/LIBRARY/research/guides/aislinks.htm. Includes general links, gaming, genealogy, health, history, culture, archeology, museums and historical societies, treaty rights/law, and Wisconsin Indian information. 32) The U.S. Gen Web Project: Native American Resources: http://www.rootsweb.ancestry.com/~usgwnar. General resource list. Includes mailing lists, general resources, state/county projects, and state resources. See generally AJ Johnson, A New Understanding of Culture and Communication: The Impact of Technologies on Indigenous Peoples, http://www.ischool.utexas.edu/~vlibrary/edres/pathfinders/ajohnson/pathfinder.html (last visited May 11, 2009). James Casey, Randy Ross, & Marcia Warren, Native Networking: Telecommunications and Information Technology in Indian Country 7 (1999), available at http://www.eric.ed.gov/ERICDocs/data/ericdocs2sql/content_storage_01/0000019b/80/17/95/39.pdf. Id. See Christine Zuni Cruz, Shadow War Scholarship, Indigenous Legal Tradition, and Modern Law in Indian Country, 47 Washburn Law Journal 631 (2008). Jamie Brown & Tara Tidwell Cullen, Indigenous Peoples Bridging the Divide: Indigenous Peoples at the World Summit on the Information Society, 29 Cultural Survival Q. 13, 13 (2005). Id. “Some American Indian tribes, for example, refuse to put information about their cultures online because they believe that traditional knowledge should be passed on in specific ways to specific peoples . . . .” Id. at 14. Indigenous Peoples and the Information Society, Report of the Second Phase of WSIS Parallel Event, Final Report 1 (Nov. 14, 2005), available at http://www.aboriginalcanada.gc.ca/cac/2006forum/site.nsf/vGraphics/Agenda/$file/Final_report.pdf. A “portal” is defined as “a web presence or other services that promote universal connectivity and offer a broad array of information and resources.” Id. at 2. See EarthWatch Institute, Diversity in the Age of Globalization, http://www.wadsworth.com/anthropology_d/special_features/ext/earthwatch/rt.html [hereinafter EarthWatch] (last visited May 11, 2009). “Dr. Sharon Bohn Gmelch is a former Earthwatch scientist and professor of anthropology at Union College. She has conducted cultural research in Ireland, Newfoundland, Barbados, and Alaska . . . . Reuel Daniels, an anthropology major at Union College, wrote her senior thesis on the impact of the Internet on [I]ndigenous peoples.” Id. See generally PEOPLink – E-Commerce Linking People, About, http://www.peoplink.org (last visited May 12, 2009). See Earth Watch Institute, Diversity in the Age of Globalization, http://www.wadsworth.com/anthropology_d/special_features/ext/earthwatch/rt.html (last visited May 11, 2009).see also United Nations, Bureau of Development Policy, E-Commerce for Development: The Case of Nepalese Artesian Exporters, available at http://sdnhq.undp.org/e-gov/e-comm/nepal-artisans-exec-summ.pdf. See Earth Watch Institute http://www.wadsworth.com/anthropology_d/special_features/ext/earthwatch/rt.htmlnstitute, Diversity in the Age of Globalization, (last visited May 11, 2009). “Dr. John Afele, originally from Ghana, is director of the International Program for Africa at the University of Guelph, Ontaro . . . and director of Village Telecom in Ghana.” Id. “Robyn Kamira is from the Maori tribal groups of Te Rarawa and Te Aupouri. She works with [I]ndigenous communities in New Zealand on issues in information technology, and is pursuing a Ph.D. at Aukland University on the subject.” Id.